We now have less than 2 weeks until Christmas and JerkySpot.com has 3 new specialty sampler packs for you to choose from. We recently reviewed their 12 Days of Christmas Sampler and unfortunately some people missed out. From what we hear, it only took a day or two for the 12 Day sampler to sell out! Luckily, these new sampler packs arrived just in time and they've been custom tailored to popular jerky flavors. Each sampler has it's own flavor mix, and they all contain hard to find gourmet jerky that you won't get at Walmart or in the gas station. 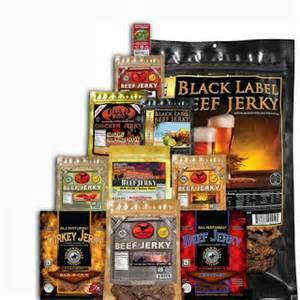 Now you can give a jerky lover a new and unique experience with jerkys they've never tried before. It's a gift custom tailored to their taste to make sure that they will love it. JerkySpot.com still has FREE shipping on orders over $25, so now is definitely the time to order. They also have bulk discounts on certain products to save you up to 10% on your order. A sampler is the perfect way to make sure that you hit the spot with your gift for the jerky lover in your life. They'll be eternally grateful as they tear open a jerky sampler and find these great tasting gourmet jerkys inside.